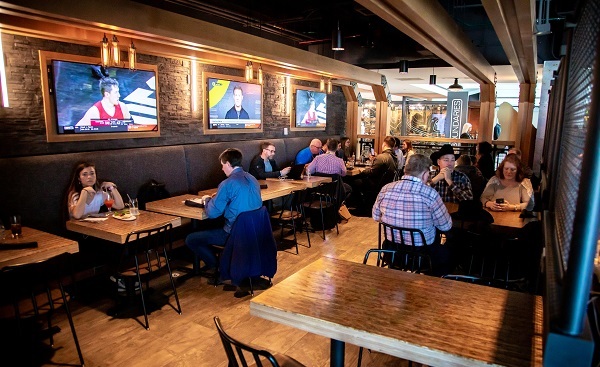 Great Divide Brewing Co. has opened its third location, this time focused less on after-work happy hours and more on travelers looking to ease the pain of a layover. The 15-year-old brewery now has a presence at Denver International Airport with the opening of Great Divide Brewhouse and Kitchen in Concourse C.
Great Divide founder Brian Dunn said in a statement that he has wanted to have a presence in DIA since the airport opened in 1995, one year after the brewery debuted in Denver’s Ballpark neighborhood. Founder Brian Dunn has wanted to open a location at DIA ever since it opened in 1995. 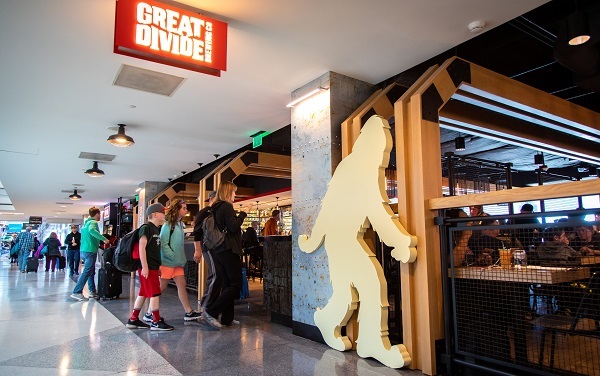 “Great Divide has been in the Denver community for 25 years and having the Great Divide Brewhouse and Kitchen on Concourse C of DIA supports our strategy of being a strong regional brewery with a focus on our own backyard,” Dunn said. According to a news release, the brewhouse will offer its full lineup of craft beers, along with a new beer that will be unique to the airport — Amelia Mary Blonde Ale. As for food, the brewery will incorporate its craft beer into several menu items, such as Yeti-braised short rib tacos and the Farmhouse Ale chicken. There also will be soups, salads and a breakfast menu for early-morning travelers. Great Divide still operates its original Ballpark brewery and taproom at 2201 Arapahoe St., and also runs a larger operation along Brighton Boulevard in RiNo. That location is home to the brand’s packaging facility and canning line. The brewery, whose products already can be purchased on both coasts, also announced last week that it’s “re-focusing on its regional availability” by extending distribution into Wyoming.